In 2015, thanks to the help of a number of amazing supporters and sponsors, WeAreTheCity ran the first of its Rising Star awards programmes. The aim of the awards was to identify 50 future leaders and role models under a management level across 10 different industries. After a staggering amount of nominations and an intensive judging period, we finally arrived at our shortlist and opened the public vote. The public vote resulted in over 15,000 votes from across 112 different countries and galvanized amazing support from our nominees’ networks, their companies, the press, as well as our own sponsors and supporters. After a final judging process, we identified our amazing top 50 winners and celebrated their awards alongside our sponsors, friends and supporters at the House of Commons in September. First, we speak with Isla Kennedy of Accenture, who was one of our winners of Rising Stars in Technology, sponsored by Morgan Stanley. Isla, please tell us what has happened in your career since winning the Rising Star awards back in September? Within Accenture, I have been mentioned at two events, interviewed in a global webcast, featured in a newsletter and on our internal social media, Yammer. As part of my Girls in STEM work at Accenture, we are currently in the process of organising an event across five locations for over 1,500 girls, aged 11-15 in January, which should be great. So what top tips would you give to our other members to enhance their careers? Manage your own career – work out where you want to be, then talk to the right people, help out in the right areas, and get known for the right things. Manage your own time – performance is about productivity, not activity nor time in the office! Make time for other commitments and life outside of work. Learn to say no (when appropriate!). Yes, sometimes you’ll need to stay in the office late for critical deadlines, but then other times you should be able to leave early (or on time) for that theatre show or dinner date. Find your own balance that works for you. Expect peaks and troughs – it is unlikely that work will always be great and exactly what you want it to be. If it is then great, but normally there are highs and lows. As long as there are more highs than lows then that’s fine. Try not to get too down in the lows as you know there will be a high coming along soon. If there isn’t then it’s time to change jobs! 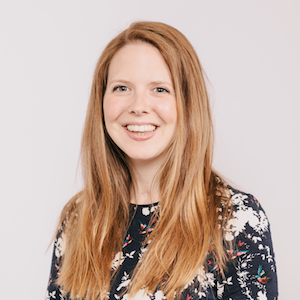 Next we talk to Emma Mason, Squire Patton Boggs, one of our winners of our Rising Stars in the Sports category, which was sponsored by Ladbrokes. Emma, please tell us what has happened in your career since winning the Rising Star awards back in September? In my professional life, the Rising Star awards have been a great profile raiser. Our managing partner circulated an email about the awards and people have been very supportive. Given the current industry push for gender equality in Sport at all levels, it would be great to see some of sport’s national governing bodies, high profile athletes and other stakeholders working with WeAreTheCity in future years to either support or recognise the awards and what they set out to achieve. So Emma, what top tips would you give to our other members to enhance their careers? Spend time learning about the value of (and how to implement) effective goal setting and self-evaluation: hard work without focus or direction and absent the ability to learn from your mistakes (as well as your successes) will rarely get you anywhere. Spend time investing in the people you surround yourself with: it’s not easy on the way to the top or even once you get there. You will need people you can rely on – both inside and outside your organisation - to give you sound advice and sometimes some harsh truths! Take time to celebrate your successes: this was something I did very poorly as an athlete and it led to wasted periods of low motivation and productivity and is therefore something I have tried to improve upon in my second career. While you should always set your next target after achieving a goal, failing to recognise where you have come from is counterproductive. Celebrating your success will build your own self-confidence and give you the motivation to push forward and achieve that next goal. Never underestimate the power of smiling – it will relax you and it will put other people at ease. Plus, securing your dream job or career is a lot about the journey and what you learn on the way and who doesn’t want to be happy while striving to reach their dreams! WeAreTheCity would like to extend our sincere thanks to all of our Rising Stars for sharing their successes with us. We are sure you will agree that they are all achieving amazing things and offering sound advice to future Rising Stars. First, we speak with Polina Zabelina, BP who was one of our winners of Rising Stars in Technology, sponsored by Morgan Stanley. Polina, please tell us what has happened in your career since winning the Rising Star awards back in September? Since the Rising Star awards, I have been very busy as I was seconded to another BP Project which is a great opportunity for me to expand and enhance my experience. I didn’t expect such level of publicity: I have been featured in 3Q BP internal magazine and have been recognised by the Institute of Corrosion (I am member of the committee) during one of the evening meetings; PinkPetro published my story on their website and in the weekly newsletter too. I was also shortlisted for an interview for IET YWE Award, but unfortunately didn’t get through to the finals. I was also selected by BP to attend the Queen Elizabeth Prize Awards (amongst a couple of others) at the Royal Academy of Engineering and the reception in Buckingham Palace where Professor Robert Langer who won the prize gave an incredibly inspirational speech. It was such an amazing event! Networking is key - actively maintain your network. Don’t be afraid and make contact first or ask somebody to connect you with others. 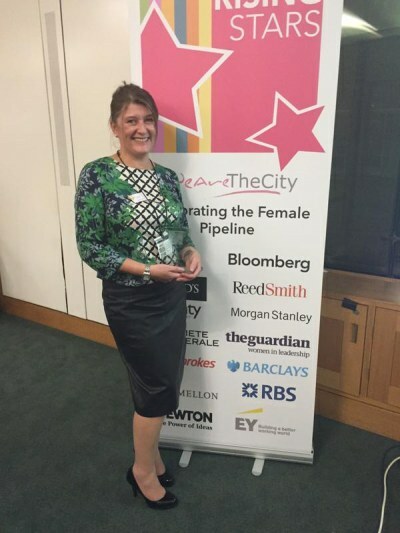 Next, we talk to Donna Evans of Barclays, one of our winners of our Rising Stars in the EA/PA category, which was sponsored by Barclays. Donna, please tell us what has happened in your career since winning the Rising Star awards back in September? Firstly, I would like to thank WeAreTheCity for organising such a powerful event. It was a great honour to be nominated and truly amazing to be in a room with so many inspirational women. Since winning the award, Barclays has actively been involved in raising my profile and featured an announcement about Rising Stars on the internal Internet. As a direct result of winning the award, I was approached internally to do a Spotlight Speaker Session about my career to date, for other assistants across our branch network. This has led to us hoping to extend the Win London Assistants Forum, which I Co-Chair, to other regions globally, creating a strong, united platform for assistants across Barclays. Our Hong Kong office has already announced it will be launching its own Assistants Forum soon. Our UK Forum also successfully launched the first Barclays Assistants day in-line with the National Pay day, which was a great success and attended by assistants and senior managers alike. I am really looking forward to 2016 as we have a number of exciting initiatives in the pipeline. 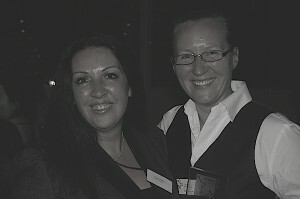 Also very exciting is that I have been nominated by SecsintheCity for the Social PA award. I was delighted to be invited to the awards ceremony, held on 12th November at The Ivy. It was another wonderful event and I feel privileged to have been nominated. So Donna, what top tips would you give to our other members to enhance their careers? 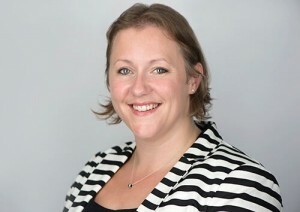 Finally, we speak to Caroline Andrews from Giles Wilson who was one of our winners of the Rising Stars Law category sponsored by Reed Smith. Caroline, what has happened since winning your Rising Star award in September? Since September, Giles Wilson LLP has won additional prestigious national awards, including the Law Society Excellence Award for Learning and Development. This is due to the work of our fee earners in mentoring younger members of staff through their acquisition of skills in legal knowledge, case management and time management, which has been a great way of ‘giving forward’. It was particularly gratifying to see the paralegal I have mentored be awarded a Training Contract at the firm. One of the firm’s recent groundbreaking cases in fertility law, which our family law team worked tirelessly on, is now being used to help other Judges make decisions about fertility treatment and parenthood. Verity, the charity I represent in my spare time, is now part of the international process to re-name the medical condition from PCOS (Polycystic Ovary Syndrome). This is a huge task and it is an honour to be involved. I have received tremendous support from colleagues and the professional networks I attend - as well as widespread social media! It has enabled me to focus a little more on my career and what I wish to achieve moving forward. There is no such thing as a bad idea – some may be used, some may not. Some may need a more extended thought process or other people to execute, but constantly thinking and discussing can help members and their careers. Reading – It is important to be well read on news and current affairs, as well as on skills such as leadership, networking and marketing. You need to constantly learn. Networking is not just for employers – Giles Wilson LLP encourage their solicitors to network and look at building a client base for the firm. Attending a regular networking meeting has been a fantastic way of meeting other businesses to learn from and build relationship with. I highly recommend it for anyone even if they do not find it easy or are nervous to start with! WeAreTheCity would like to extend our sincere thanks to all of our Rising Stars for sharing their successes with us. We are sure you will agree they are all achieving amazing things and offering sound advice to future Rising Stars. First, we speak with Annie Zaidi, Leicester City Football Club who was one of our winners of Rising Stars in Sport, sponsored by Ladbrokes. Annie, please tell us what has happened in your careers since winning the Rising Star awards back in September? Since winning the prestigious Rising Star award 2015 things have been crazy but a good crazy. A few weeks ago, I sadly failed my UEFA by 7 marks. Failing this prestigious coaching award felt like someone had ripped my heart from my soul and I was tempted to throw in the towel and give up. Then reflecting back and staring at my Rising Star trophy, I realised that quitting is not what successful people do. Again reflecting back made me realise that even though failing hurt, I need to get back up stronger and more determined than ever, so now I'm working twice as hard to prepare myself to be reassessed. I am currently still going to QPR to coach the U21’s, which I love doing and don't mind the M1 rush hour traffic. Also since the awards, I have been invited to North Wales to help inspire and empower young girls into realising their potential, to prevent them from early teen pregnancies and risk of being excluded. In two days, I coached 77 girls and now they want to appoint me North Wales Patron of Sports (the first in the making). Next, we talk to Alicia Millar of Reed Smith, one of our winners of our Rising Stars in Law, which was sponsored by Reed Smith. Alicia, please tell us what has happened in your careers since winning the Rising Star awards back in September? There was a lot of publicity at Reed Smith for a number of reasons - three employees were nominated for a Rising Star award; the award was in honour of Lynne Freeman and presented by Tamara Box, partner for Reed Smith – all amazing publicity for the company and our amazing women. Since the awards I have been showcased by the company’s internal comms and have featured in our external social media/web PR. I have also been listed in Brummell magazine as one of their Inspirational women in Diversity and Inclusion. I have also been nominated for another award which recognises my achievements. In terms of giving back, I have nominated others for awards and have connected/shared insights and best practice with others who are just starting out on their diversity and inclusion journey. The key thing is receiving such generous support and recognition from outside the firm and outside the UK. Always do what you know is the right thing to do, always push at open doors and knock politely at any that are closed – they often only appear to be closed. Don’t restrict yourself when it comes to allies and sponsors - your biggest influencers can often come from the most unlikely places. Own your success and be genuinely grateful for praise received – this was actually the biggest thing I took from Vanessa Vallely, MD at WeAreTheCity - own your success and your achievements, don’t give them away! What else? There’s no such thing as “just doing the day job” when you are looking at your value and worth to an organisation and in measuring your performance/success/potential, but the extra mile can be just one small step. Finally, we speak to Vinita Ramtri of Barclays who was one of our winners of the Rising Stars in Investment Management category sponsored by BNY Mellon. So Vinita, what has happened since winning your Rising Star award in September? Since the awards I have been featured internally on Barclays intranet and have done more public speaking. I have also signed up for LifeSkills created with Barclays which plays a crucial role across local communities, to help inspire the next generation when they move into work and create a better future for them. I am looking forward to my first assignment, which will hopefully be later this year. Stand up for what you believe in. 'Our lives begin to end the day we become silent about things that matter.' Martin Luther King Jr. Always, find your own answers. Look around for inspiration but when it’s time to act; sit back, think and dig deep. WeAreTheCity would like to extend our sincere thanks to all of our Rising Stars for sharing their successes with us. I am sure you will agree they are all achieving amazing things and offering sound advice to future Rising Stars. We look forward to featuring another 3 of our rising stars next week. Please note our Rising Star programme for 2016 opens on February 1st - click here for more details and to register your interest in our awards. More detail will be posted to the site during January. Rising Stars 2015 - What happened next for our winners? In 2015, thanks to the help of a number of amazing supporters and sponsors, WeAreTheCity ran the first of its Rising Star awards programmes. The aim of the awards was to identify 50 future leaders and role models under a management level across 10 different industries. After a staggering amount of nominations and an intensive judging period, we finally arrived at our shortlist and opened the public vote. The public vote resulted in over 15,000 votes from across 112 different countries and galvanized amazing support from our nominees networks, their companies, the press, as well as our own sponsors and supporters. After a final judging process, we identified our amazing top 50 winners and celebrated their awards alongside our sponsors, friends and supporters at the House of Commons in September. 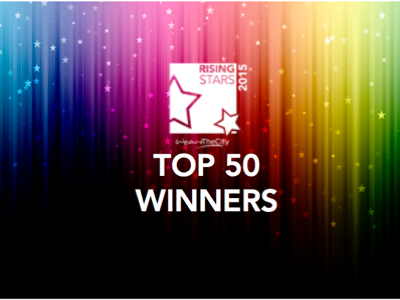 Over the next few weeks we will be featuring all of our winners to find out what happened next after collecting their Top 50 Rising Star Awards. Dara, please tell us what has happened since winning your Rising Star award in September? Firstly, I'm beyond grateful for the WeAreTheCity Rising Star award and really wanted to summarise how much the visibility I have gained from the award. My employer PwC have been massive supporters of my progress. They shared the success with my team and beyond. 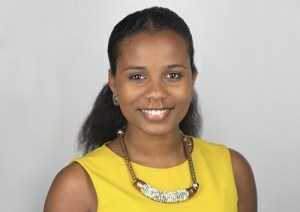 They also posted my picture on the intranet and wrote an article on the day in the life of me! Because of the rising star award the people partner for consulting is also sponsoring me to attend a young leadership summit called” One Young World” in Thailand next week. The summit brings together global leaders aged 18-30 to discuss big global challenges. Please look it up as previous speakers have been epic! It's an opportunity for me to learn how I can continue to make a lasting impact in my organisation and community, but also on a global platform! I couldn't be more excited! I also got to meet Gaenor Baegley who sits on the PwC board and is responsible for the people agenda. As a result, I'm going to be work-shadowing her for a day next month. Last week I received another award from my team for in their words "being a rising star." Alongside the recognition internally, there has been a great increase in my profile externally. Although I was doing a good job before, clients are now more aware of my achievements. I was extended on my project and have continued to build a great client relationship with key contacts. A major newspaper called The Voice covered the Rising Star awards and I was mentioned. The Guardian also asked me to join a panel for young women looking for careers advice. Dream Nation are also currently doing a write up of my career journey so far for their readers (predominantly ethnic minorities). I was also nominated for another award (Precious - celebrating women of colour) last month. In summary, I used to think just doing a great job was good enough. However, the awards have helped me to realise how valuable visibility and sponsorship are and how one door can open so many others. Next, we talk to Lucy Brooker of RBS, one of our winners of our Rising Stars in Banking, which was sponsored by Societe Generale. Lucy, please tell us what has happened in your careers since winning the Rising Star awards back in September? I am pleased to announce that since the awards I have just received a double promotion! I will be shortly moving from my existing role in Learning and Development to a new role where I will be now be coaching senior leaders of the bank and leading a team of 3-4 people. This is a massive and exciting opportunity for me and totally unexpected. Since the awards, I have also run and developed a ‘bio’ workshop alongside the Focused Women Network. This session was created to help others to create a powerful and interesting biography, which will help them promote themselves both internally and externally. It also gives our network a bank of bio’s that we can use in the future to nominate others for future awards. Get involved with the ‘other stuff’ – the extra curricula activity. Volunteer to get involved with networks, volunteers to help on the charity day, volunteer to lead a team project! It all helps with the networking, experience and profile. Look for a new job opportunity every 18 months, side ways or upwards. Finally, we speak with Olivia (Liv) Cooke of Liv Cooke Freestyle, who was one of our winners of Rising Stars in Sport, sponsored by Ladbrokes. Liv, please tell us what has happened in your careers since winning the Rising Star awards back in September? Since the awards I've filmed with Adidas for an upcoming commercial. I've done several workshops teaching children freestyle football tricks whilst aiming to inspire them to try to get active and have fun and at the same time implementing the message that stereotypes will be broken in the near future (i.e. 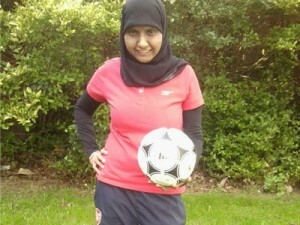 a 16 year old girl teaching little boys and girls football tricks). I had a meeting with Tracey Crouch the minister of sport to discuss how we can work together to get girls more in to sports. I've filmed as part of a channel 4 documentary for young entrepreneurs. I've performed at half time for Everton football club. I also performed on the Jordanian stand at the world travel market in London where I had the honour of performing to the prince of Jordan. I also became the ambassador for football in Jordan. I'm now in partnership with TheSportBible (a Facebook page that have over 7.2million likes). I've been on euro sports TV showcasing my skills. Furthermore I've received lots of bookings for shows etc... For instance this weekend I'm flying out to Amsterdam to do a show and then to meet with an Dutch ex-professional footballer to help kick start her platform for female athletes. I seem to answer this question quite frequently now. My first big tip is: passion. There must be passion. If you love something and are passionate about it then you'll enjoy it and that's the most important thing in my opinion. This will give you energy and fuel your hard work, you'll love your job and you won't lose motivation. My second tip, is be driven. Obstacles will appear and problems will fly at you but you must be determined. You must keep pushing and working hard. My third and final tip is direction. You must know where you want to go, you must have a plan. Something may pop up tomorrow that changes everything however without knowing your out come, goals and destination you can't possibly reach it. If you're passionate, driven and know what you want then nothing will stop you. Love what you do and implement strategies to reach your goals. Good luck. Alessandra is a driven and ambitious engineer. She graduated from the Politecnico di Milano University and has been working as a Bridge Engineer for Arup for the last 6 years, from offices in Birmingham, Amsterdam, London and Singapore. She has a real passion about bridges and succeeded, through her daily job, to work on World record projects all around the World as well as in the UK. Together with being a hard worker and a bright engineer, Alessandra is passionate about mentoring young engineers, as well as increasing the visibility of the construction industry. Alessandra is a guide for graduates within her company and students from both British and Italian universities. Alessandra is deeply involved with the charity Bridges to Prosperity, working with them for over two years developing a tool for the design of suspension bridges in rural isolated areas. In 2014 she was part of a team who designed and built a bridge in the Panamanian jungle, which has since won the prestigious ICE Designed in London Award. When she went to Panama she also championed and delivered a University programme that involved her teaching at a local university close to the bridge location and hosting the students on site for a day.